To add a new customer simply head to Manage Customers section in RepairDesk. Click on the Add Customer button on top. You will be taken to Add New Customer screen. Here you can enter all relevant information about a customer which can be of use for future reference. Customer Group - Customer group in which a customer is placed. Click here to know more about customer groups. 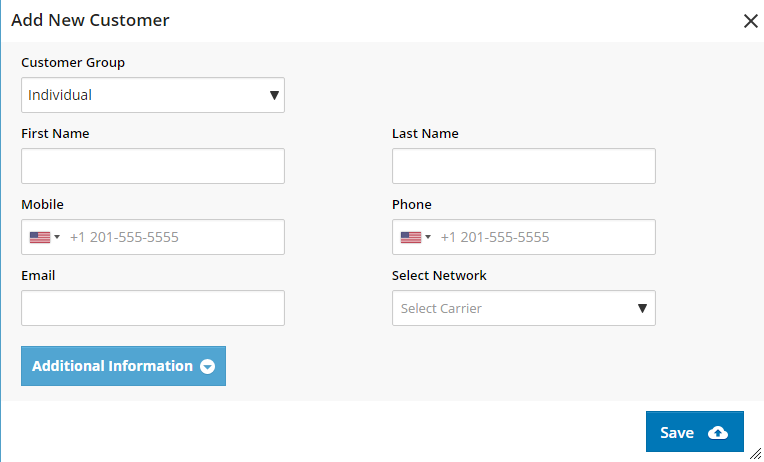 Once you've entered customer information, hit Save Customer button to add details to customer record. Q. Can I add a customer via POS ? A. Sure thing! 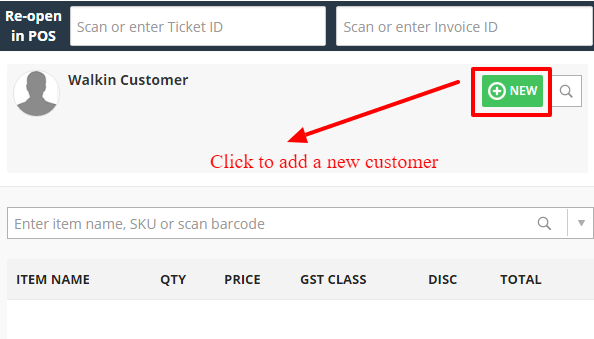 To add a customer through POS, click on New button in the customer section. A pop up screen will open, asking you to enter customer details. Once entered, click on Save to add customer.